This soup is perfect for all and social gatherings. Not only is it flavorful and warming it is also helpful with deepening relationships and influencing others to your side. 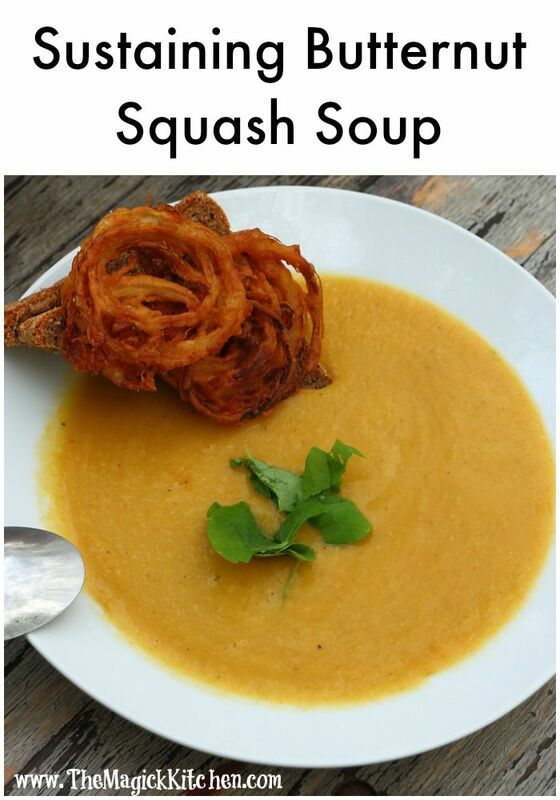 Serve with Problem Solving Fried Onions for added flavor and benefit. This soup is perfect for all and social gatherings. Not only is it flavorful and warming it is also helpful for deepening relationships and influencing others to your side. Serve with Problem Solving Fried Onions for added flavor and benefit. In a large saucepan, sauté onions in butter until tender. Add squash, water, stock, marjoram, black pepper and cayenne pepper. Bring to boil; cook 20 minutes, or until squash is tender. Using a hand blender (boat motor) or a blender puree squash and cream cheese until smooth. Return to saucepan, and heat through, without bringing to a boil. 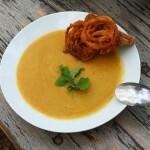 Garnish with a drizzle of heavy cream and fried onions. Squash is one of the key elements in the story of The Sisters. Squash is called the Sustaining Sister and is well known for its attributes of prosperity and nourishment. Squash is also believed to be useful in deepening relationship with friends, family and lovers. In times of turmoil use squash to “get people on your side” when the situation calls for it. I love to know what my readers are up to, and how you put my thoughts and experience to use in your world.